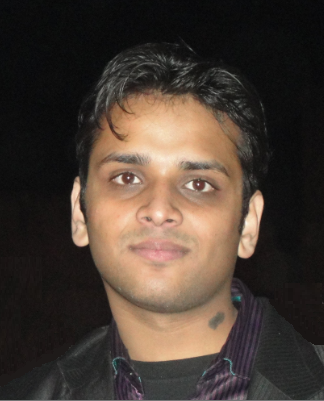 Hi, I am Vasu, a Software engineer working in San Francisco bay area at PayPal Inc. I graduated from University of Southern California, Los Angeles, California in May 2013 with Master’s degree in Computer Science there. I studied Bachelor's in Computer Science from Uttar Pradesh Technical University, India. I have around five years of industry experience with Shutterfly (San Francisco Bay Area), Demand Media (Santa Monica) and Tata Consultancy Services (New Delhi) in Software engineering domain where I have worked on large scale databases and applications like Income Tax Application for over 50 Million Indian income tax users, Excise Department Application for Excise Department - New Delhi. I have studied courses in Advanced data Analytics, Web Search Engines and Information Retrieval, Web Technologies. I have also studied courses like Analysis of Algorithms, Artificial Intelligence, Database Systems at Graduate level. I have been a speaker at User Group seminars and sessions like Tech Ed, New Delhi User group as well. I have also authored 2 eBooks and cofounded a monthly e-magazine. My ambition in life is to work at the forefront of the technology with the ability to find innovative solutions to the changing needs. That's me today, hopefully i will be better tomorrow.